The Canadian Mental Health Association is seeking information on your lived experience to understand the impact of depression on the lives of Albertans. 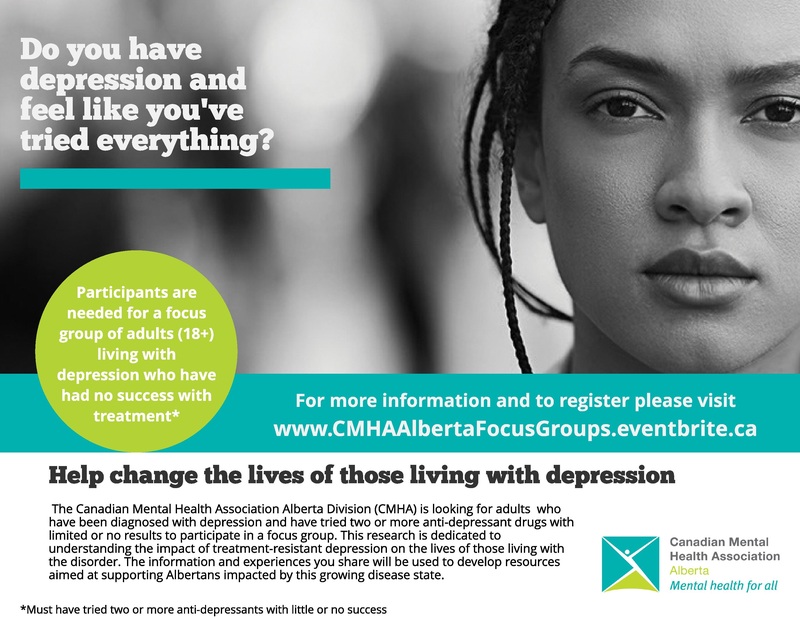 Your participation in a focus group centered on depression will help the Canadian Mental Health Association (CMHA) Alberta Division gain a greater understanding of the impact depression has on the lives of those living with the disorder. The information and experiences you share will be used to develop resources aimed at supporting Albertans impacted by depression. You may also have spoken with your doctor about non-prescription treatment options for depression.